Photo: For Better or Worse? Businesses that allow smoking in their buildings have now become rarer than managers that still use a secretary on their lap to take diction for their business correspondence. Apart from the occasional 'head shop', even tobacconists don't allow their clients to enjoy their products on company premises. Bong suppliers that let their customers light up, don't bong for long before being busted. Smoking in the workplace has become so last millennium, banning it from the business is the ultimate no-brainer. In fact, allowing cigarette smoking indoors at work is becoming illegal in more and more jurisdictions around the world. In Canada, due to the presence of anti-smoking legislation in practically every province and municipality, the only public places you can legally light up any more are on federally-controlled lands such as First Nations reserves that do not have to adhere to municipal or provincial edicts. Electronic cigarettes, or e-cigs, are a whole different matter, however. They have not been around for the centuries like tobacco culture. Society, therefore, has a lot of catching up to do to understand the product fully. Despite almost daily reports that seem to alternate between positive and negative, there is much we don't know about the practice of 'vaping'. This leaves HR managers scurrying to develop policies around their use while the science is not even close to being clear. 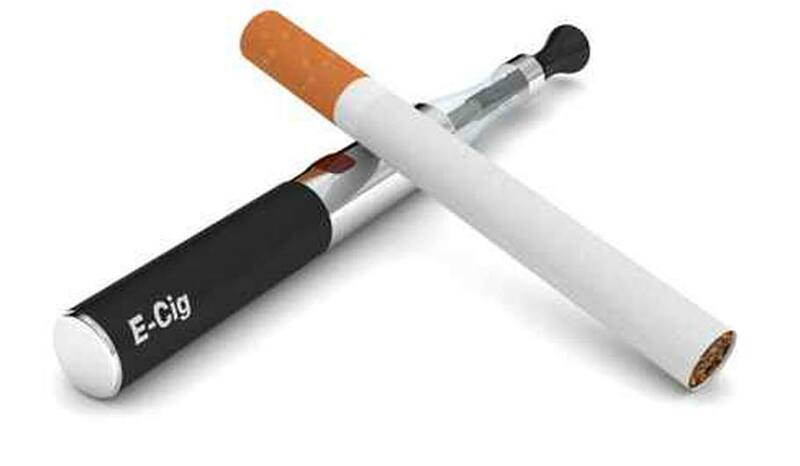 For many non-smokers, electronic cigarettes are not essentially any different than their 'acoustic' counterparts. They may not produce smoke but the expelled vapour certainly has the appearance of it. Although the vapour contains no 'tar', the substance in cigarette smoke that gums up lungs and contains literally hundreds of chemicals, that tar-less vapour probably contains nicotine. To be fair to those who are non or ex-smokers in your organization, it is unwise to allow 'vaping' inside your buildings, irrespective of the absence of local laws against it. The fact is, e-cigarettes are not cigarettes as your vaping employees will point out. They do not produce smoke. There is no evidence the exhaled cloud is actually dangerous to humans. We don't ban iced tea in the office just because it looks like rum. That would be ridiculous. Many 'experts' maintain nicotine, without the accompanying tar from cigarette smoking, is no more dangerous than caffeine with a much lower toxicity rating. There are even therapeutic uses for nicotine itself, including helping people with schizophrenia and Alzheimer's. If scientists discover e-cigs really are as effective at harm prevention and smoking cessation as their proponents assert, shouldn't HR be encouraging cigarette-addicted workers to make the switch? Having a smoke-free workforce is a popular goal for business, as it reduces sickness (and related health insurance costs), absenteeism, morale issues due to extra breaks for smokers and many other positive outcomes. Currently in Canadian corporate culture and, indeed, society as a whole, cigarette smoking is a pariah activity and e-cigs aren't perceived as being a whole lot different than their paper-bound cousins. Having people vaping at their desks, even if legal, is to many people, encouraging the use of an evil drug delivery system and would likely be a never ending source of abrasion between employees. Sure, caffeine could also be classed as a drug delivery system but, being a solid part of the culture, does not create the same fears, no matter whether unfounded or not. Besides, one rarely blows coffee in someone else's face. Just what's in that thing? Another factor weighing against vaping at work is the ability for these e-cigs to be used to ingest marijuana derivatives and other drugs. Some might suggest a drinking glass can be used for milk or for Everclear and we shouldn't judge the container. Unfortunately, this argument is specious. The chance of someone misusing a vaping rig is far more likely than people trying to secretly chug Everclear at their posts. The problem for HR people is that because the science is not yet settled on the claims of either pro or anti-vaping factions, they must err on the side of legal caution. Forcing vaping enthusiasts to conform to the same limitations as their tobacco-smoking brethren may be considered pandering to baseless fears but it is at least legally defensible. Sometimes for business, that's as close to a win as they're going to get.